I am so excited to be participating in the Magical Product Swap, hosted by Jessica Stanford from Mrs. Stanford's Class. 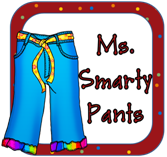 I was partnered up with Samantha over at Ms. Smarty Pants. If you haven't checked out her blog before, go now!! She has some amazing ideas! 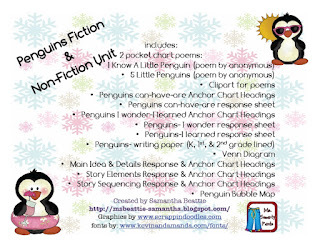 I chose to check out Samantha's Penguin Literacy Unit and Math Unit because I just love teaching about penguins! I think they are the cutest birds ever! And kids just love learning about them. Click the pictures below to check out Samantha's units at her TpT store. They're only $5 each! Look at all this penguin goodness I printed out!! I can't wait until January to add this to my penguin unit. The unit comes with a few more centres, about double-digit addition/subtraction, greater/less than, and even & odd. My firsties are not quite at that level though, but the centres look great! I might use them for some advanced students/differentiation though! I'm super excited that I got to test out these products for Samantha. Make sure you stop by her blog to check out her review of my Non-Fiction Writing Unit! Nice job with the review. It looks fun! Would it be good for second graders? Thanks! 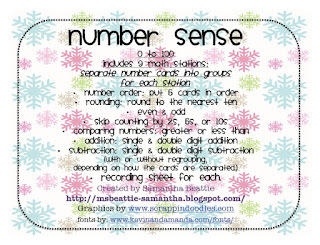 I think you could definitely use these activities with second graders. Fun!!!!! I want in on the next one! What a great set!!! Thanks for joining for the swap :) I hope you'll sign up for the next! The swap is so much fun!